This is the follow up to our previous part 1, so check that out if you haven't already! At this point, we've talked about the first part of Klinker Apps, where we were developing our brand and building out our initial content library of Talon, EvolveSMS, Source and Blur. From there, we've now developed into the modern business that you all know today - focusing on intuitive and beautiful apps that are a joy to use. So let's dive right in, because even though there aren't many app releases during this time, it's setting the stage for what's to come! Up to this point, we had designed our apps using the Holo mindset and they fit really well into the Android ecosystem. However, Google was just beginning to ramp up on Android Lollipop, which brought with it a whole new design language, among other cool features. This presented a pretty great opportunity for our apps to continue to evolve and move forward, so both Luke and I started furiously working away on making Evolve and Talon fully material design "compliant". For Evolve, this was pretty straight-forward. Swapping out the old ActionBar and making it a Toolbar instead was a good start, then I threw together a few new themes that would come included with the app for a fresh new design. Talon, on the other hand, took a significantly different approach: we decided to go for a full redesign from the ground up. This meant recreating a lot of the old assets and layouts, rethinking the flow and basically starting everything over while retaining the old logic that we knew worked well. Talon took a significantly different approach by decideding to go for a full redesign from the ground up. Thus began the next update to Talon, dubbed Talon Plus. Originally, this was planned as an update for all users so that they could enjoy the new design, but as we moved forward and the two apps (Talon and Talon Plus) diverged further and futher, we began to come to the conclusion that we wouldn't be able to offer this as a simple update and it would instead be offered as a completely new app. We were both very worried about taking this new approach, mainly because we didn't want to anger our current users who would need to pay for the update to the new version. However, after the amount of time put into the redesign, we still felt this was the right choice. Then, something happened that made the transition significantly easier and more justifiable. A little background information that many of you probably already know: Twitter is a little stingy about their third party app support. They have a lot of well documented APIs and most of their features are open to developers, however they don't like our apps getting too big and limiting their ad revenue, so they only allow 100,000 users to use a third party app before they shut it down and don't allow any new users to sign up. You probably guessed it already, but Talon had gotten extremely popular and hit the 100,000 user limit. Looking into it further, about 45,000 of these were actually pirated installs from people who didn't pay for the app, so we built a more robust purchase validation system (that still is not great, unfortunately) and got ready to release Talon Plus! Our timing couldn't have been better. Google had just released Android Lollipop into the world and Talon was one of the first apps to support the new design. Talon had gotten extremely popular and hit the 100,000 user limit. Overall, the transition was generally well received and Luke and I were both extremely happy with the end result. 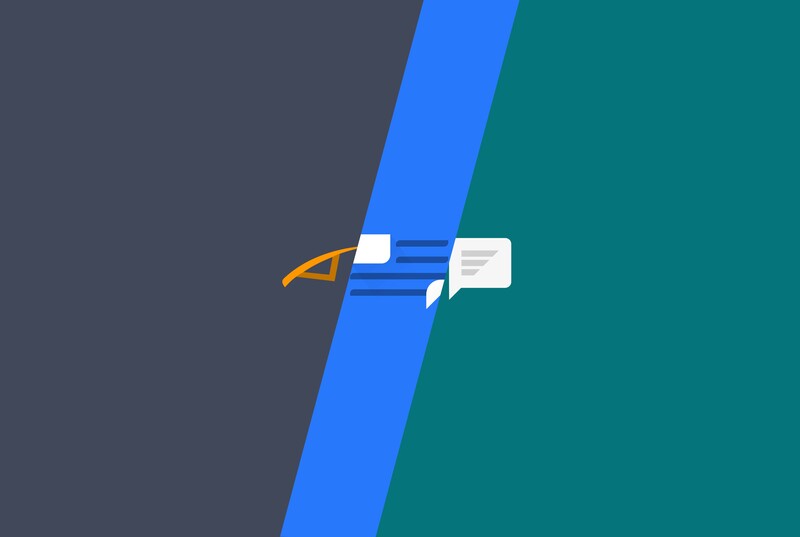 While we don't sell the original Talon anymore, it lives on in open source much like Sliding Messaging and still gets many of the new features that come to Talon Plus (now simply known as Talon for Twitter again). After Talon Plus was released and Evolve had gotten its material design update, Luke and I continued to do quite a bit of support work for the next year or so. Things definitely died down during this time, simply because we were getting ready to graduate and therefore didn't have much time to start on any new projects. I was also doing some contracting work for a company in San Francisco and Luke had a long standing relationship with a Des Moines company. We were both going through interviews for various tech companies and deciding what we wanted to do next. The biggest question on both of our minds was about Klinker Apps, were we going to be able to work a full time job and still maintain our apps on the side? Should we just work on Klinker Apps full time and use that as our income? Now, I have a confession to make: I don't really work for Klinker Apps anymore. After interviewing at Google and going through what felt like ten technical interviews between phone calls and on-site visits, I got offered a job to start working for them in September 2016 and am typing this article from my porch in sunny Mountain View, California, about two miles away from Google's main campus. Google doesn't allow employees to work for other companies on the side, so I had to step away from the company that I started, for this opportunity. I don't really work for Klinker Apps anymore. Luke, on the other hand, went down a very different path than I did. We had both been doing some work for a company in Iowa called Source Allies and he decided to sign on with them full time. He also bought a house right down the block from our parents and got married! So, you could say he's a busy guy now-a-days, since he is obviously also still managing all our our apps! We both ended up in places where we were happy, but those decisions were made at the beginning of 2016 and since I didn't start work at Google until September, I had some free time on my hands and started working on a new project. Over that summer, Klinker Apps' third messaging app was born (side node: maybe that is why Google hired me? We can always use another messaging app!). Many of you have probably already heard of it, but if not, it's well worth checking out. Pulse represented a significant departure from our well established app business because it took us toward server development and interactions when all of our other apps had been based solely on your device. This opened up an entire new world of possibilities! I put in about twelve hours a day for three months or so learning what I needed to know, setting up our infrastructure and actually making the app itself. I learned about Ruby on Rails, encryption, Firebase, and a ton of other helpful tools and can honestly say that I'm a much better developer because of that experience. After I had finished putting everything together and creating the initial product, with some help from Luke along the way, the time had come for me to move to California and stop working on Klinker Apps related stuff. So, Luke learned all about the app, and has been running it ever since! Now that we have Pulse out the door and more experience with creating apps that reach across multiple mediums, the future looks bright and I'm really excited to see exactly where it goes for our company! I'm actually working on a new project right now that builds off of the infrastructure of Pulse and turns it into something new and fresh. I'm looking forward to getting it into your hands as soon as possible so that everyone can enjoy it, but it isn't ready quite yet. I know Luke has a lot of really great things planned for 2017 and beyond as well, but they're going to remain a surprise until they're ready to beta test! Rest assured, we'll let you know when they're ready. And that's it! That's where are are today, as a business, and as individuals. Klinker Apps, my humble little Android startup, has accomplished a lot over the past five years - more than I had ever dreamed possible. We've reached millions of users and still continue today to push the veil and make products that people want to use. I'm constantly in awe of the support that two random guys have received from the community and how great it is getting to interact with so many different people that I normally never would have met. You guys are fantastic and Luke and I owe all of that success to you. So to all of our fans, users, and critics out there - thank you for making this business a success and continuing to support our work! Cheers to the next five years, hopefully even stronger than the last. I'm excited for the future and hope that you are as well.